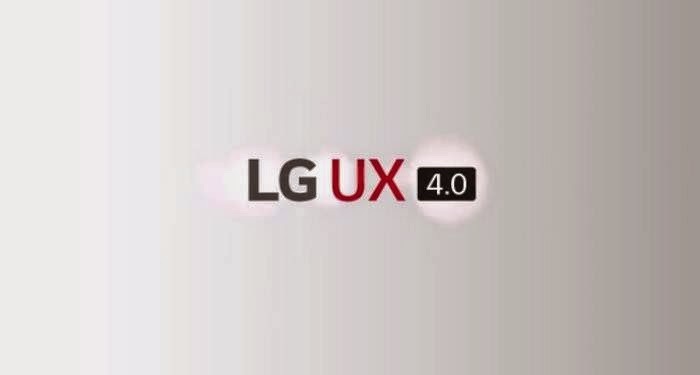 LG UX 4.0: before the release of the LG G4's "Smart" interface is unveiled! LG seems to be taking its time to unveil its new flagship, the LG G4. This is piece by piece the Korean manufacturer LG shows us his G4, first screen and now the new version of the user interface. A very likely human-centered interface to anticipate the need for information for example. There are a few days ago, as I was saying, LG unveiled a 5.5-inch qHD screen that promises a lot of things like better color, better brightness, low energy consumption ... etc. All indications are that this will be the LG G4. As this new iteration of the LG UI that will undoubtedly introduced with its flagship 2015. Visually speaking we do not feel as a huge difference with the current interface of the LG G3 and it's not so bad, because it was already very successful. No, LG has focused on features for its upcoming devices, Korean is not left innovations with Knock Code which increased its UI to another level. Photo level is rung the introduction of Quick Shot that will take a photo directly without unlocks your smartphone, just double pressing the volume button on the back. Another thing, Expert Mode in the camera makes its appearance, what passionate fans Reflex, because it really is very well done. It is true that awareness level LG UX is far behind HTC Sense or Samsung and the well known TouchWizz, but it is no less deserving however. Especially with Smart Board is a widget that collects all information such as calendar, music and health in a single place. Combined with Smart Alert is very convenient. Smart Alert will not do the usual alerts, and more to tell you the weather in the day, he will also advise you when you should go to your bike, basketball, jogging and more according to your hobbies and weather. The new schedule is even easier and allows drag and drop events from your social networks like Facebook. In conclusion, this is a visual interface unchanged and still beautiful LG offers us, but with many more features. These are only made to simplify our lives and anticipate our needs, on paper, we will see what happens in real conditions. 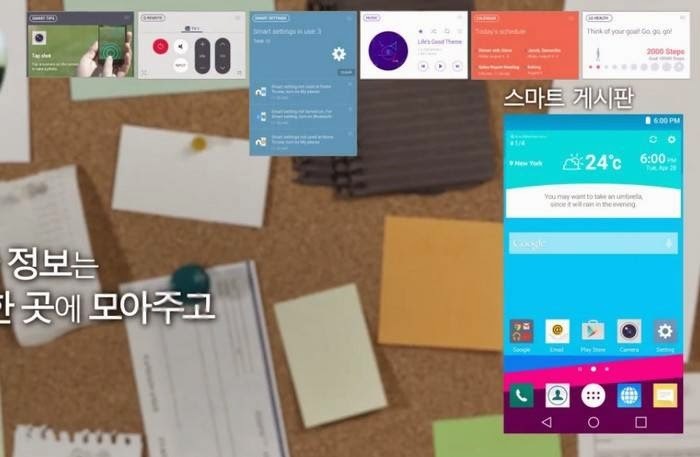 The output of the LG G4 is expected for April 28, eager to discover the other Korean beast?